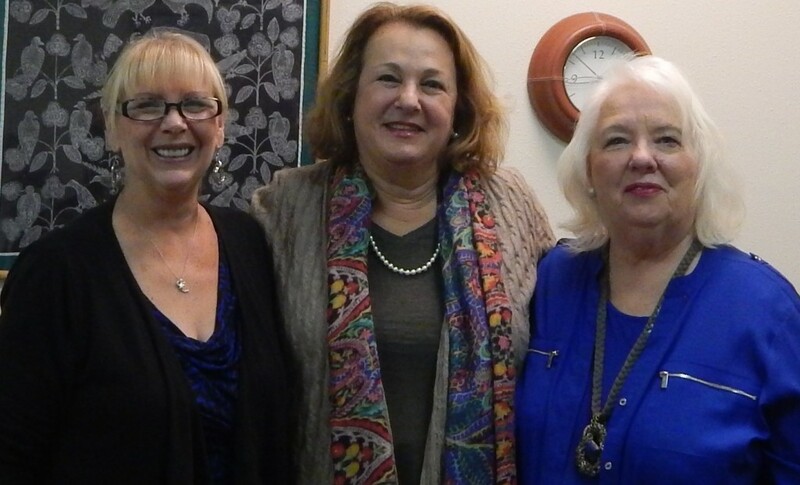 L to R: Sandra Moon, Business Consultant and AWESOME Associate; Guest Speaker, Annette Z. P. Ross, Attorney; Joan M. Wright, Founder, AWESOMEover60. Make sure that your Will is written in the state in which you reside. Be aware of the laws of the state in which you reside re: residency of and the relationship to you of the person to whom you have given Power of Attorney, as an example. Name a Health Proxy to make decisions on your behalf. Even if you feel that a Will is not needed either for lack of assets or because you don’t care what happens after you pass, who among us is immune from being incapacitated or declared incompetent because of an accident or stroke? Provide Guardianship for minor children and/or grandchildren in your care as well as for physically and/or mentally challenged children of any age. Clarify in writing your intention to care for a Significant Other. The relationship between your family and her/him changes when you die. Know the difference between a Revocable Trust and an Irrevocable Trust. Completely understand that an Irrevocable Trust can never be changed. Thoroughly research the responsibilities of a Power of Attorney or Guardian before accepting such an obligation yourself for a relative or friend. My husband died at age 33. My son died at age 40. My significant other died at age 83. My Dad died at 87, my Mother at 88, my maternal Grandmother at 99. A brother at infancy. Recently, seven friends in their 60s and 70s. I know that you have a long list as well. It is a Certainty of Life. Let us each live a full, happy life of many years. But there is one thing for sure: one day life as we know it will end. The way in which we choose to leave our legacy is one’s personal choice; it does not require explanation or apology. But the message of AWESOMEover60 is to encourage you to take right action now; giving guidance to those you love and assuring your peace of mind for the years ahead. The date for the next AWESOMEover60 Roundtable will be announced soon.